City543 » [雙語] The Name is Lin, Kevin Lin. 我是林義傑. [雙語] The Name is Lin, Kevin Lin. 我是林義傑. Guest post by Luke Yen. You’ve all heard about Jeremy Lin. 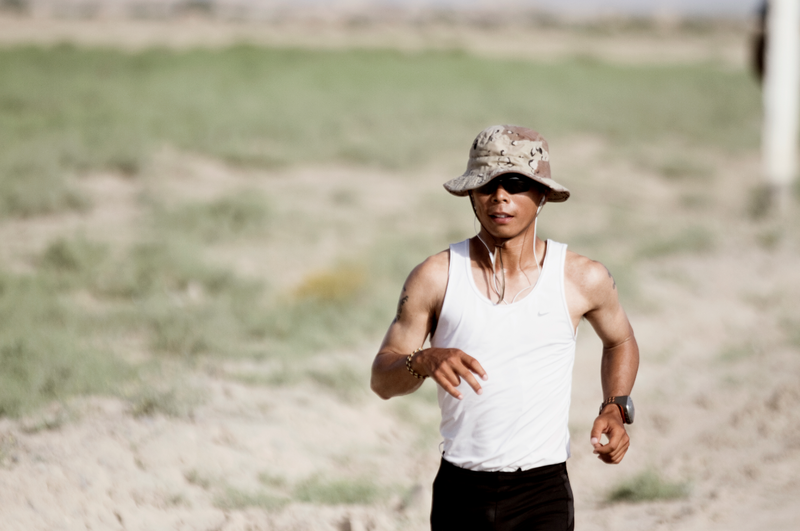 Now get ready to meet Kevin Lin, Taiwan’s homegrown professional extreme ultra-marathon runner. Lin is actually the most common surname in Taiwan. But what Kevin Lin has achieved is anything but ordinary! We got to sit down with Kevin in his office in Taipei last week as he shared some of his stories with us. For the uninitiated, the official Olympic marathon course is about 42 km. The first guy to have run that far was a Greek soldier who ran all the way from Marathon to Athens, to deliver the news of victory. Upon his arrival, the guy was so out of breath and exhausted and he said, “We’ve won.” Those were his last words — he died right there and then! 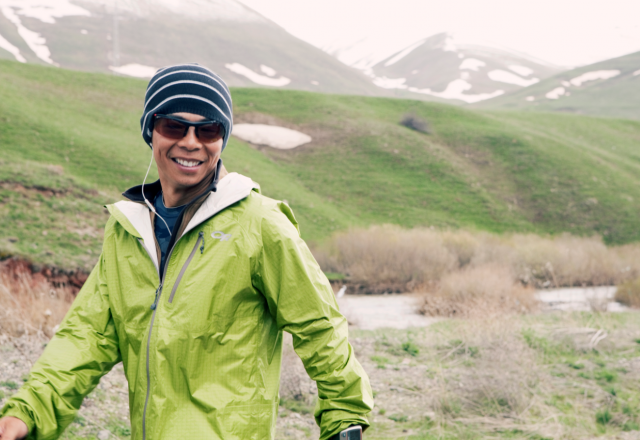 Kevin started as a marathon runner but soon became an “ultra-marathon” runner. He ran many 100-kilometer and 24-hour races all over the world. But that wasn’t enough for him. Kevin’s “Linsanity” is all about pushing the envelope. 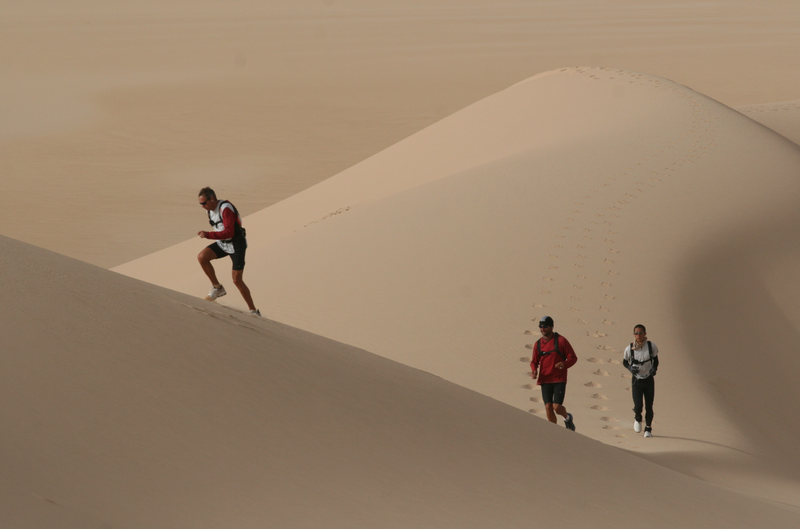 Kevin started entering extreme ultra-marathon races set in the hottest, driest, windiest and coldest locations on the planet, including the Amazon jungle, the North Pole, the Gobi Desert, the Sahara Desert, and the Silk Road. Chances are that if a place is not suitable for human habitation, Kevin’s been there. So what is it that keeps the guy going in these extreme conditions? Is it God? Is it Buddha? No, it’s Jay Chou’s music! For Kevin, Jay’s music always brings back fond memories from his youth, which is an escape from the treacherous and often tedious expedition. When you’ve been running for hundreds of kilometers and there are still hundreds more ahead of you, if you focus on the difficulties or the physical pain and discomfort, you might as well quit there and then. He lets the music guide him and allows his mind to drift into what he refers to as “a state of meditation”, where his body will just go on autopilot. According to Kevin, once you’re in that state, running 5km would just seem like a few seconds. If a man is crazy enough to run 10,000 km from Europe to Asia on the Silk Road in 150 days, he needs such extreme willpower to conquer his body. It’s the ultimate case of mind over matter. Kevin has been the inspiration for so many people all over the world. He is now dedicated to the promotion of sports culture in Taiwan. Kevin and his team are organizing the “SuperRace”, a marathon competition that will last for three days, covering a distance of 120 kilometers. SuperRace is scheduled to take place in Taiwan in 2014, which will attract professional ultra-marathon runners and fellow enthusiasts alike from all over the world to some of the most beautiful locations in Taiwan. You might be thinking, “I’m not a pro like those superhuman runners. 120km is too extreme!” Don’t worry. Kevin and his team will be organizing all types of sport events, such as the “MiniRun Yangmingshan Trail Run” on Saturday, 10/25 that is suitable for all fitness levels. For more information, visit the SuperRace website.